How to Choose a Bitcoin Wallet? 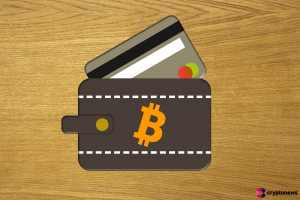 There are two critical steps to finding a Bitcoin wallet that is right for you. First, you need to decide what sort of crypto wallet you need, and then you consider specific wallets to find the best one for you. Bitcoin wallets differ by security, convenience, coin support, level of privacy and anonymity, user interface, customer support, fees, built-in services, and other variables. The most common distinction between Bitcoin wallets is whether they are cold or hot. Cold wallets refer to offline storage, while hot wallets are connected to the internet most of the time. The online wallets are more suitable for daily use but aren’t secure, while offline wallets are less convenient for frequent use yet are more secure. However, the distinction between the Bitcoin wallets doesn’t end there. There are five sorts of Bitcoin wallets that you can choose from: hardware, desktop, mobile, web, and paper wallets. Hardware wallets. These are Bitcoin wallets that store your private keys on devices like USB sticks. Hardware wallets are mostly cold and very secure, but they also cost a bit of money, so it’s recommended to get one only if you plan to store over $1000 value in crypto assets for a long time. Bitcoin hardware wallet by Ledger. Desktop wallets. Desktop wallets are installed on personal computers or laptops. If the device is constantly connected to the internet, they classify as hot. Generally, they are regarded as secure, yet they are vulnerable to various malware and computer viruses. Mobile wallets. Mobile wallets, like desktop ones, are software wallets. Unlike desktop Bitcoin wallets though, they are significantly smaller and simpler. They serve as a convenient on-the-go wallet for daily usage. Paper wallets. Paper wallets are generally classified as cold storage. The term “paper wallet” generally refers to a physical copy or paper print of your public and private keys. Other times it means software used to generate a pair of keys along with digital file for printing. Whichever the case, paper wallets can grant you a relatively high level of security. You can use Bitcoin Paper Wallet Generator to generate a paper wallet for Bitcoin. The main risk that comes with Bitcoin paper wallet is that it may not be durable enough, so you should consider its storage conditions before making one. This is how Bitcoin paper wallet looks like. What kind of Bitcoin wallet do I need? - You need to share the wallet with someone else. - Privacy is very important to you. You can, however, use both types of wallets: a cold one for storing bitcoins, and a hot one for spending them. - Does it only support Bitcoin or can it store other cryptocurrencies as well? - If it's a web wallet, does the address begin with HTTPS? That offers greater security than an HTTP wallet. - How secure is authentication? Does it provide two-factor authentication (username and password plus some piece of information only you have)? - Does it have a multi-signature feature (if you want to use a wallet with multiple owners)? - Is the wallet “hierarchical deterministic” (HD), meaning it will always use a new Bitcoin address to receive payments and so enhance the security of your money? - How transparent is the wallet provider? Do you know who they are? 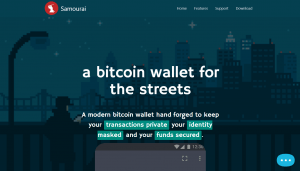 - Has the company behind the wallet published the wallet's code and is it open source? 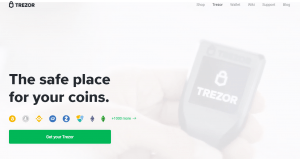 - Is the wallet simple to use? - Is there a way to back up the wallet? - What does the community have to say about the wallet? Check forums like Bitcoin Reddit or Bitcoin Forum. - For a hardware wallet, what do you think about its design, user interface, manufacturer reputation, and price? - Are there any fees that you will have to pay for the provided services? If so, what are they? Note that this information is only for general educational purposes. You should always carefully consider the latest available information when choosing a wallet. You might also find the official website of the Bitcoin Foundation Bitcoin.org to be of help. It provides a list of wallets to choose from. Also, don’t forget whether a wallet supports your country - if you are looking for a bitcoin wallet in India, make sure it’s on the list of supported countries. Have any suggestions about this entry? Let us know. What is Bitcoin Lightning Network? Bitcoin Lightning Network is a second-layer solution that uses payment channels in order to settle transactions quickly without having to wait for block confirmations. Will Bitcoin Ever Be Stable? A new way of trading and investing in crypto technology, Bitcoin ETFs made headlines in 2018. Proponents of ETFs describe them as tools for driving Bitcoin adoption and a shortcut to introducing investors to the full potential of cryptos.